All above named prices are tax included. At Lasergame Rotterdam you can play with a small or a big group for a low price. First we start with a quick explanation about the game. Here you will learn how the gun works, how your suit works and what the rules of the game are. 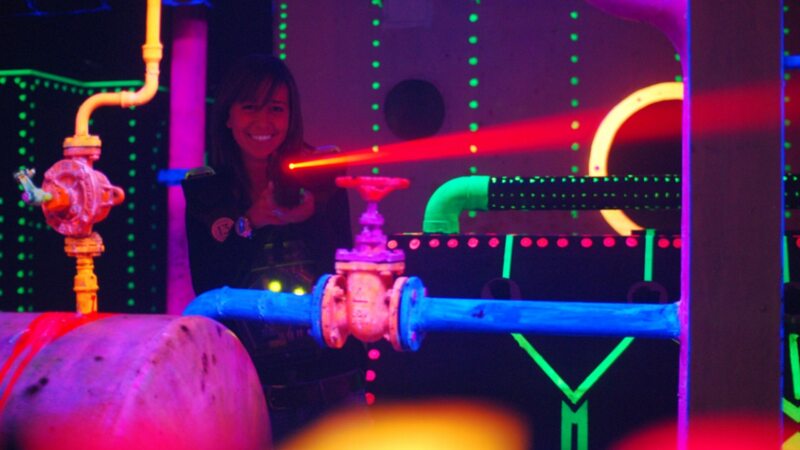 After the explanation of the game, you will go into the arena to have some lasergame fun for 15 minutes! Can’t get enough after just one round? Then go for a second round and see if you can improve your score. The lasergame arena is in the hold of the ship. A maximum of 20 people can play at the same time. You will descend into the hold of the ship, and explore a submarine. The image speaks for itself. The gamers get ready in the machineroom for their departure. The sound of sonar and water strengthens the under water experience. Meanwhile portholes will be shooting at you. You will take cover behind engines and oil barrels. The arena is 300m2, so it has more than enough space.